Valeriy Sokolov is in ever-increasing demand for his astonishingly mature interpretations of some of the most difficult works in the violin repertoire. Recent and forthcoming concerto performances include with the Philharmonia Orchestra, Orchestre National de France, Orchestre de Paris, Chamber Orchestra of Europe, Royal Liverpool Philharmonic Orchestra, Royal Stockholm Philharmonic Orchestra, Orchestre National de Bordeaux Aquitaine and NDR Radiophilharmonie. Highlights also include recitals at the Mariinsky Theatre, the Verbier and Colmar Festivals and at his own festival in Kharkov, Ukraine (now in its second year). His recording of concertos of Bartók and Tchaikovsky with the Tonhalle-Orchester Zürich and David Zinman will be released on EMI/Virgin in October 2011. He has worked with such esteemed conductors as Vladimir Ashkenazy, Ivor Bolton, Andrey Boreyko, Susanna Mälkki, Yannick Nézet-Séguin, Peter Oundjian, Vasily Petrenko, Kwamé Ryan, Hubert Soudant, and Yan Pascal Tortelier. He has also appeared with orchestras such as the Rotterdam Philharmonic Orchestra, Tokyo Symphony Orchestra, the Mozarteum Orchester, Die Deutsche Kammerphilharmonie Bremen, the Cleveland Orchestra and the Hallé; and at the festivals in Aspen, St Denis and Gstaad. 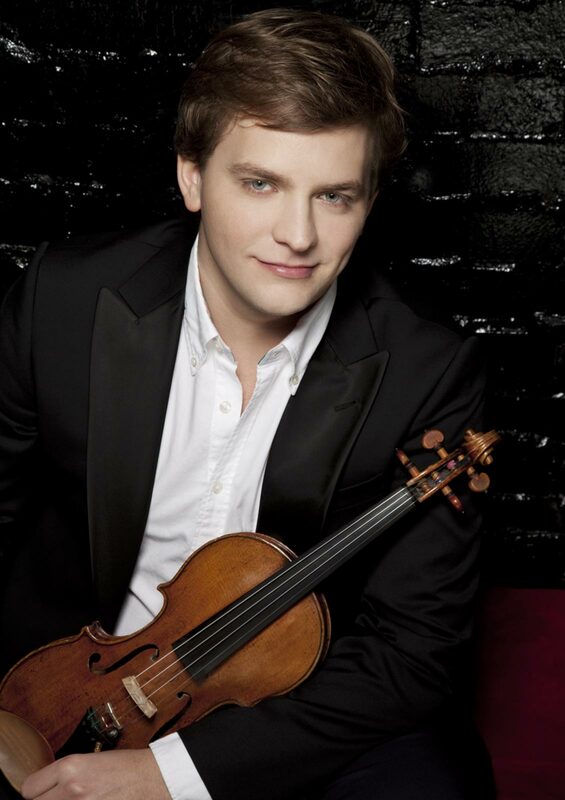 In February 2008, he gave the US premiere of Boris Tichenko’s Concerto for Piano and Violin at Carnegie Hall. Valeriy appears regularly at the Théâtre du Châtelet in Paris in recital and is a frequent guest in the Grands Interprètes series at the Auditorium de Lyon and at London’s Wigmore Hall. He has also performed at the Kissinger Sommer, Lockenhaus, Ravenna and Mecklenburg-Vorpommern festivals, and recently gave his first performances at the Lincoln Center, Festspielhaus Baden-Baden, Essen Philharmonie and in Vancouver and Hong Kong. A keen chamber musician, Valeriy enjoys regular collaborations with pianists Kathryn Stott, Evgeniy Isotov and Denis Matsuev; violinists Vadim Repin and Renaud Capucon; and cellist Leonid Gorokhov. Exclusively signed with EMI/Virgin Classics, Sokolov is developing a strong and varied catalogue of recordings, releasing Enescu’s Sonata No. 3 with pianist Svetlana Kosenko for them in 2009. His first concerto DVD was of the Sibelius Violin Concerto under Vladimir Ashkenazy and with the Chamber Orchestra of Europe, and Bruno Monsaingeon’s film un violon dans l’âme / Natural Born Fiddler, a record of Valeriy’s recital in Toulouse in 2004, received much praise from the critics and continues to be frequently broadcast on ARTE TV. Born in 1986 in Kharkov, Ukraine, Valeriy was awarded the Study Grant Prize at the International Pablo Sarasate Competition in Pamplona, Spain in 1999 which provided him with a scholarship to study with Natalia Boyarskaya at the Yehudi Menuhin School, England. In September 2005, Valeriy took the Grand Prix in the George Enescu International Competition with a performance of Beethoven’s Violin Concerto. He also won Best Performance for Enescu’s Sonata No. 3 as well as the Enescu Foundation Prize. He is generously supported by the Accenture Foundation as part of their young musician scheme.